I’m back with more Swirly Birds today for Five Minute Friday. I don’t know what it is about those silly swirls. They are addicting to play with. Don’t get me wrong, I love my other stamps, but you use a bird stamp half a dozen times, and you start to think “ok that’s enough birds for now”. But this stamp set was designed so well that the abstract shapes can be just about anything. The various shapes are just enough of a hint of something, that your imagination can take over and the possibilities are unlimited. One of my favorite things to make with the swirls is flowers. The swirls just scream to be big bunches of flowers. And those itty bitty swirls make nice little flower buds to mix in with all the others. This stamp set also has a coordinating die set, which I did not use this time to keep the card assembly under five minutes. To do all the stamping, I spread my cardstock across my desk, then I stamped all the Blushing Bride flowers and then the tiny Watermelon Wonder flowers. Then I went back and filled in with the large leaf and the small leaf. It took about 20 minutes to stamp 8 of these cards. And if you look closely at my flowers and leaves, you’ll see that they do overlap in some places. I think this is perfectly fine since these flowers are more abstract. After everything was stamped, I used my fine tip glue pen and put three small dots on each flower of all 8 cards. Working quickly, I placed each sequin on a spot of glue, pushing down to make sure it adhered. Once all the sequins were placed, I let the glue dry overnight. It really doesn’t take that long for the glue to dry, but it was late and time for bed. If you follow me on Instagram, you would have seen a picture of these card fronts all lined up on my desk. To ribbon or not to ribbon? That is the question. My original plan with these cards was to have ribbon. However, it is a busy card with all the flowers and leaves and sequins. Adding the ribbon was just one more thing and it felt like I had too much going on with the card. So, no ribbon this time. This card is actually my swap for this month’s Downline Meeting. I so look forward to seeing these ladies every month. 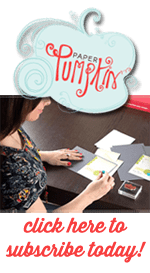 If you’re curious about Stampin Up and what we do, we’d love to have you join us for our next meeting. We love meeting new friends.